A new Tai Chi initiative is back to help victims of Parkinson’s Disease. The Chen Tai Chi Centre in Highland Park has teamed up with Parkinson’s New Zealand to create a class to specifically benefit those with the disease. Parkinson’s is a degenerative neurological condition where the brain receives a lack of dopamine, often resulting in reduced activity. The numerous benefits of exercise are well-known, however for those who live with what’s known as a movement disorder, it can be a difficult task both mentally and physically. 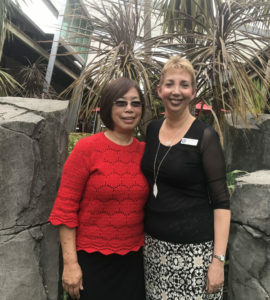 Parkinson’s New Zealand community educator Yvonne Glassborow says there is much more to Parkinson’s than meets the eye. “Exercise is important for everybody but particularly important for people with Parkinson’s because they must keep themselves moving. Tai Chi has been shown to improve flexibility and stamina and class participants have reported feeling benefits and often return for more. “Muscle tightness and stiffness is a real problem and this helps to overcome that,” said Ms Glassborow. Class teacher Malisa Ng says the benefits of Tai Chi go far beyond the physical ones with the class also doubling as a support group. “It’s a social thing as well to keep them positive and talk about things together…they let go of tension and stress in the body and mind,” she said. Ms Glassborow says while people with Parkinson’s Disease can attend a normal Tai Chi group, some are hesitant to do so as they worry even a slight tremor will make them stand out in a regular group. To combat this, Ms Glassborow and Ms Ng hold weekly meetings where they work together to understand the disease and how to best customise lessons for those struggling. The result is a welcoming class where Ms Ng works to every individual’s level allowing them to work at their own pace. Ms Glassborow says it’s important for people with Parkinson’s to remember the class is specifically for them. “Everyone is the same [in the class] and supporting each other. It doesn’t matter what you do, at the end of the day we keep trying until you get there,” she said. “It’s not a case of coming in and feeling isolated that everyone else can do it and you can’t. For more information, contact the Chen Tai Chi Centre on 266-7473.